It's Scott's birthday today! Every year he gets to pick a full birthday menu of meals and every year "biscuits and gravy" ends up on the list. Sometimes it's breakfast, sometimes it's dinner but it always finds a way. This year it was a feature at brunch alongside my classic recipe for tofu scramble. A low fat and vegan version of a traditional Southern comfort food. 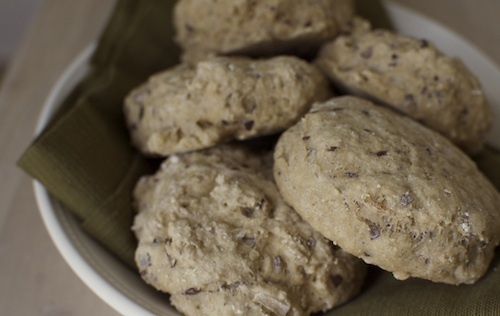 chef's Note: you can substitute HH's 3-ingredient biscuits in this recipe for totally fat-free (and soy-free) biscuits!